Sitting on the train on Sunday, with Brenda, on our way to New Haven, I looked over into the next section of the car and saw a young man and his daughter playing on a Macbook computer. He looked so familiar, and I thought first of Dan Pink, whom I’ve met a few times lately. But I knew that it wasn’t him. Then it occurred to me. 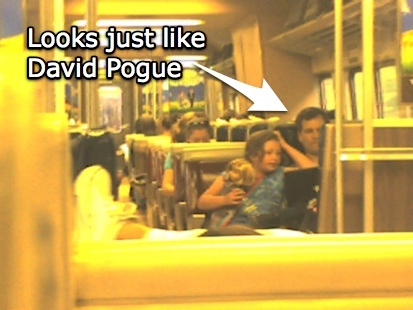 It looked exactly like David Pogue, technology columnist for the New York Times. Imagine that. On the train with a great David Pogue look-alike! Next Next post: I’m Home!